2008-02-13 Added a forum for discussions on XenoCollide -- be the first to post! 2008-02-12 Game Programming Gems 7 has been released and is available now. 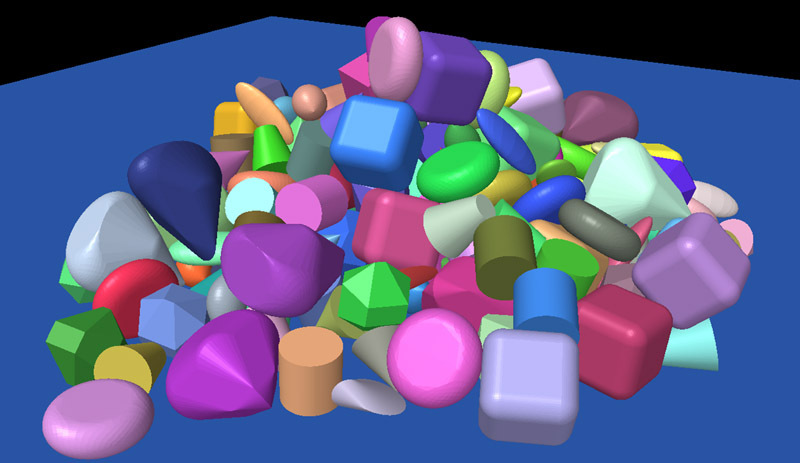 XenoCollide is an algorithm for detecting collision among a limitless variety of convex shapes. It is based on a new technique I call Minkowski Portal Refinement (MPR). I will be adding additional articles and more detail on game physics and collision over the next several weeks. Please check back frequently for additional information. For a simple introduction, click here for an overview of the 2D version of the algorithm.